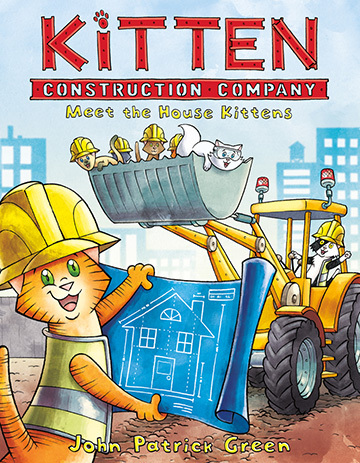 Construction has never been cuter than in this graphic novel for very young readers! Can you be too cute for your own good? Sadly, the answer is yes. In a world where kittens and humans coexist, several talented kittens with skills in architecture, construction, engineering, and plumbing have discovered that nobody will take them seriously in the workplace because they are just too darned adorable. So the kittens take matters into their own hands, and form their own all-feline firm: the Kitten Construction Company! They’re going to build the best mayor’s mansion the city has ever seen, just as soon as they can stop chasing laser pointers.